It came as a little more than just a surprise that Apple release strategy changes as the 9.3 update is now out. The reason we say it changed is because we’ve grown accustomed to it being dealt with differently when it came to incremental updates. It has not – or at least not until now – been an usual thing for Apple to do and release major software developments in any secondary build versions like the latest 9.3 patch. So far, major changes were usually left for the new versions of an iOS – so more specifically things such as iOS 8.0 or iOS 9.0 – that got released roughly every 12 months. 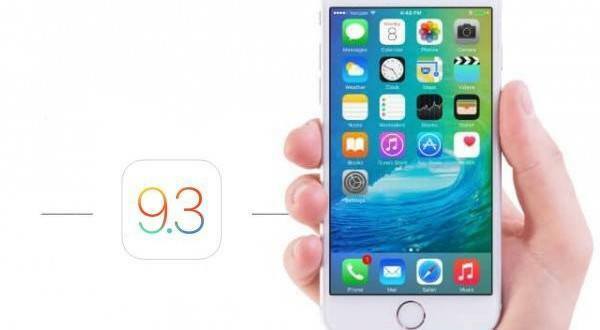 However, with the release of the latest iOS 9.3 build, we’ve seen more than just bug fixes and performance upgrades. In fact, the latest operating system build for the newest Apple products has its very own website page, together with everything you need to know about the pieces of software that were added or improved in the update. This suggests a number of things, starting with the fact that Apple may be changing the way they will be releasing upgrades and new features from now on, seeing that the market itself has developed matured a fair amount. It is not unknown that in so many cases, individuals opt to not upgrade for various reasons. Either because of storage space issues, the fact that they feel they do not need the changes or have no had issues with the particular aspects that the new build is aimed to fix. By pushing this type of update onto users’ devices, it may motivate said individuals to update more often as these new versions of the software also come with security updates and other features that can maintain the good status of your phone. If Apple indeed decides to change their strategy of adding the more appealing apps and updates every other summer, and instead opts to keep the stream coming at a steady pace throughout the year, it’s expected that its users can remain both engaged and secure. On a side note, it would appear that Apple’s most recent updates cannot be considered that new if you are to take into account third party apps that were created for jailbroken iPhones. As an example, an app called f.lux has been offering its users the ability to decrease the amount of blue light the screen of the phone was emitting to not mess up the user’s circadian rhythm. Now Apple is removing this app from the App Store as their latest update offers the same possibility to be turned on or off directly from the operating system. Along with that particular aspect, the latest 9.3 update also adds more security options for your data, even more ability to personalize and predict the kind of information you would be interested in as well as some CarPlay improvements and new capabilities for your activity tracking using the iPhone.